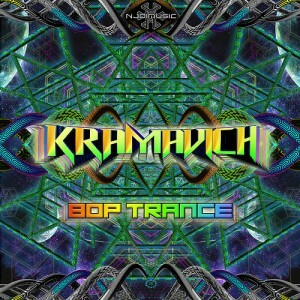 Bop Trance, the debut release of Australian psytrance producer Kramavich, is set to take you on a full power journey into the inner depths of your mind. Kramavich takes full responsibility for any spiritual enlightenment or trans-dimensional contact you may encounter while on this psychedelic ride! Mastered by Gibb Tartaris (Reflection) with artwork by Morgan Brooke Design. All songs produced and written by Justin McChonachy. MP3 Download | FLAC Download | WAV Download · Download count: 6,613. Brilliant, stomping!!!! whoooot whoooooot !